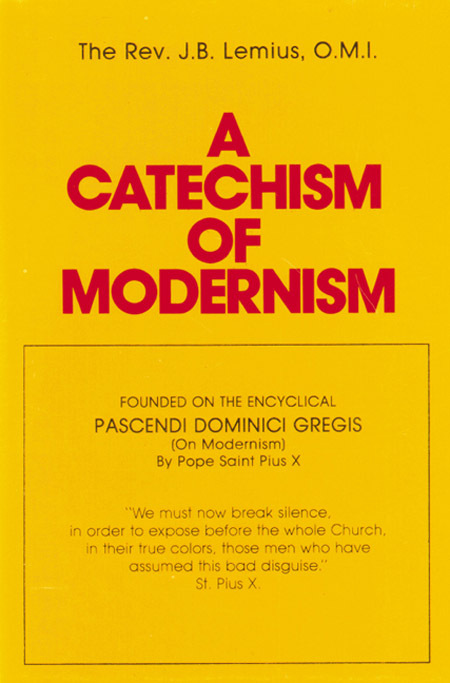 This post is part four in a series of posts on the Synod of the Family and Modernism. Read part three here. If you’ve been following these posts, you know what the stakes are. Allowing unrepentant adulterers and active homosexuals to receive Our Lord’s Body and Blood in the Most Holy Eucharist. Every single Catholic who receives the Holy Eucharist must be repentant and in a state of grace. Receiving the Holy Eucharist unworthily condemns the sinner to additional judgment. There is no reason any excuse should be made to these individuals who break the 6th Commandment repeatedly. There is no reason that any individual who is living in mortal sin should be allowed to receive the Holy Eucharist without first going to confession. Q. Does not the “profession of faith” include respect for Tradition? Many of the Synod fathers do not admit or embrace the apostolic and ecclesiastical traditions and constitutions of the Church. This is made evident by not only the Kasper position but also their willingness to adopt any doctrine that transmutes the Catholic faith into something other than the Catholic faith. Yesterday at the Synod, both the discussion of opening up the sacrament of confession to include general absolution services, as well as ordaining women to the diaconate, were brought up. Both of these are not only non-catholic but grave errors already discussed by the Church as not allowed and contrary to the faith. Yet, we see these issues being raised as if any amount of discussion can change Church teaching. A. 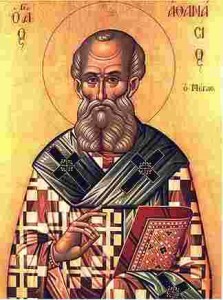 The Modernists pass the same judgment on the most holy Fathers of the Church as they pass on Tradition, decreeing, with amazing effrontery, that, while personally most worthy of all veneration, they were entirely ignorant of history and criticism, for which they are only excusable on account of the time in which they lived. Q. In what presumptuous way do the Modernists speak of the Fathers of the Church? A. 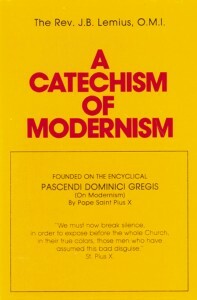 Finally, the Modernists try in every way to diminish and weaken the authority. At last year’s Synod on the Family, several of the Synod fathers brought up Pope St. John Paul II’s teachings on the family, in order to defend the sanctity of marriage. The response they received was to the effect that the sainted Pope’s teachings were too hard and that in today’s society they were considered “too traditional”. Now, Pope St. John Paul II was not a super-traditional Pope, but he did defend the faith and the Church’s teachings on the family and marriage when it mattered. But this demonstrates how many at the Synod do not care one iota for tradition, in fact, they disdain it. These wolves in sheep’s clothing are trying their hardest to undermine the Church and her authority by weakening doctrine and practice. However, with this year’s Synod, the rule’s have changed in that Pope Francis has the final say in what is determined. Let us continue to pray and fast for Pope Francis and for the Synod, that Church teaching is preserved and novelties are not added. We must remain vigilant during this time of uncertainty as to the direction the Church appears to be moving. You are the ones who are happy; you who remain within the Church by your Faith, who hold firmly to the foundations of the Faith which has come down to you from Apostolic Tradition. And if an execrable jealousy has tried to shake it on a number of occasions, it has not succeeded. They are the ones who have broken away from it in the present crisis. No one, ever, will prevail against your Faith, beloved Brothers. And we believe that God will give us our churches back some day. When I was about 14, in 1991, my parish had general absolution services for more than a year before someone put a stop to it. I was poorly catechized but knew that something was wrong there!